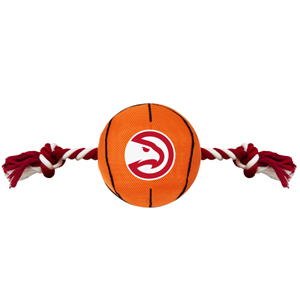 This NBA Nylon Basketball Rope Toy is made with 100% smooth heavy duty nylon. Basketball Toy is poly filled and has an embroidered team logo. Perfect for dogs who love to toss & chase a ball around!